By Gaea Katreena Cabico (philstar.com) | Updated December 20, 2017 - 11:05am MANILA, Philippines (Updated 3:18 p.m.) — Hundreds of distressed Filipino workers in Hong Kong worry they might not return home for Christmas and New Year after discovering that the air tickets they paid for do not exist. According to a report on the South China Morning Post, the existence of air tickets bought through agency Peya Travel cannot be confirmed. 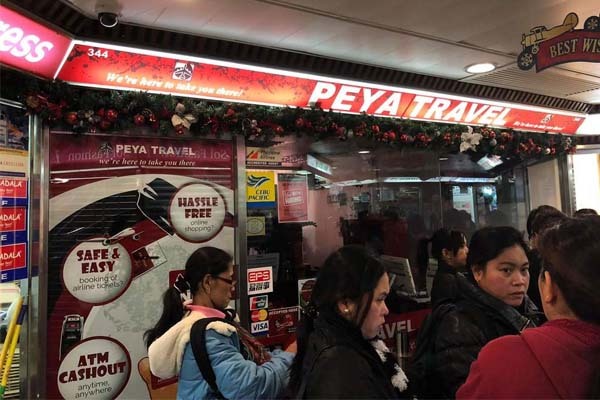 Frustrated and upset domestic helpers trooped to Peya Travel’s office in Worldwide Building in Central demanding explanations, refunds and rebooking alternatives. 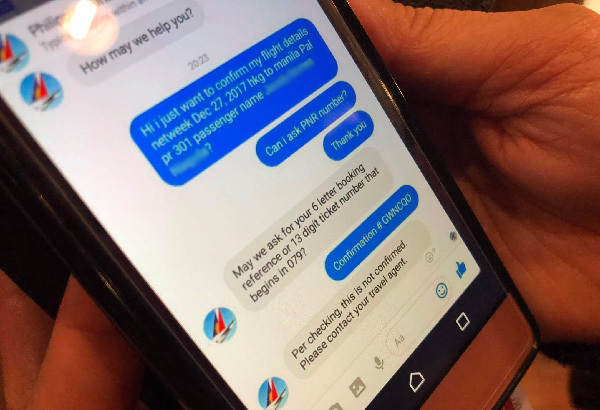 Marietta Sabas who has been working in Hong Kong for 24 years told Philstar.com that she booked Philippine Airlines tickets worth HKD3,800 (P24,535) at Peya Travel last November. She contacted the airlines which confirmed that there was a reservation made under her name but the payment failed to come in. She was supposed to travel on December 23. Sabas said that she always books flights at Peya Travel and this was the first time that this happened. The travel agency, popular among Filipino workers in Hong Kong, gave no clear answer when she asked them about getting a refund. A video published by a Filipino community news site in Hong Kong also shows domestic workers lamenting that they do not have money to book new flights. Sabas paid for new Philippine Airlines tickets worth HKD3,700 (P23,889), supposedly her pocket money while on Christmas vacation in the Philippines. As many as a thousand people are believed to have been affected by the ticketing problem, reports said. The Philippine Consulate General of the Philippines in Hong Kong said it is "deeply concerned over the incident." It urged the domestic workers to “maintain sobriety and calmly liaise with Peya Travel” to secure a new flight booking and avail of refunds. "The Consulate also expects Peya Travel to take responsibility for this unfortunate incident and take all possible and necessary steps to settle this matter to the satisfaction of the aggrieved parties,” it said in a statement. In a Facebook post, the agency apologized for the mess and asked for the understanding of OFWs. “Makakaasa po kayo na pinagsusumikapan naming gawan ng paraan sa abot ng aming makakaya na bawat isa ay maharap namin. Taos-pusong paumanhin po talaga (Rest assured that we are doing everything to fix this problem. We sincerely ask for forgiveness,” Peya Travel said. A long-time resident of the Chinese Special Administrative Region said that those who get refunds might still not be able to be home for the holidays since flights to the Philippines are usually fully booked during the Christmas break. According to the latest data from the Philippine Overseas Employment Administration, there were 85,704 Filipino workers deployed in Hong Kong in 2015. Of that number, 57,703 were rehires, or had previously worked in Hong Kong.